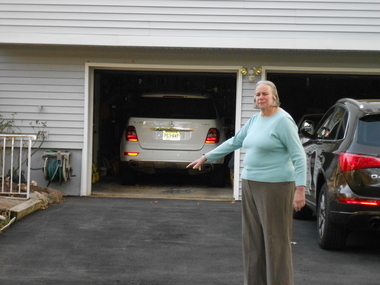 Joan Krotenberg will have to make it through the winter with her driveway. In the fall of 2013, Krotenberg hired North Jersey Paving and Construction to redo her driveway. One of the owners at the time, James Gorman, was the guy in charge of the job, she said. But before long, Krotenberg said, the $2,500 job was crumbling and needed to be replaced. She tried calling Gorman, but he wouldn’t return her phone calls, she said. An estimate by another company found the driveway couldn’t be repaired, but needed to be ripped up and redone. The cost? $4,500. Krotenberg started working with a mediator from the New Jersey Division of Consumer Affairs, who reached out to Gorman, documents show. Gorman promised in an email he’d stop by the house to see what could be done, but he never showed, Krotenberg said. The case got more complicated when we learned Gorman was no longer part of the business. His partner, William Mesker, bought Gorman out, and Mesker said he knew nothing about the job or the complaints. Mesker said he has since moved out-of-state, but the company is still operating, and he promised he’d fix the job. He also promised to have his attorney send Krotenberg a letter saying so. Several weeks passed, and Krotenberg finally received the letter, dated Oct. 13, via the Consumer Affairs mediator. Joan Krotenberg stands in her driveway. 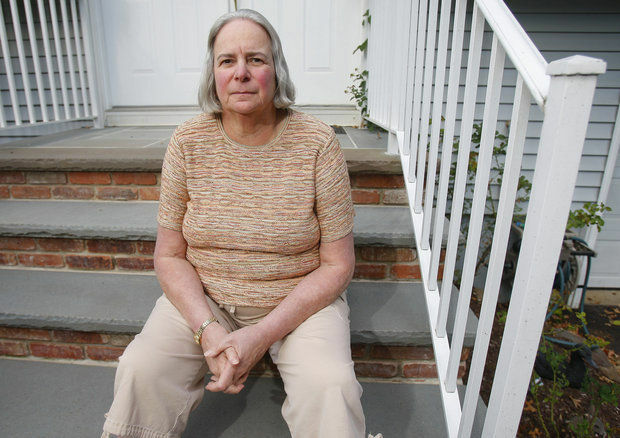 She said she paid $2,500 a year ago for a new driveway, but it’s already cracking and crumbling. Krotenberg said knowing that Mesker moved made her nervous, so she asked via Consumer Affairs for the $2,500 she had paid for the job to be put into an escrow account to be held by Mesker’s attorney. Several more letters passed. In the end, Mesker’s attorney declined the escrow idea, but said the driveway would be completed by March 15, 2015. We do hope the weather is nice and warm around then. Around the same time the attorney’s letters were going back and forth with Consumer Affairs, Mesker sent us an email to express his dissatisfaction with the original story. We asked him about the escrow idea and if there was anything else he wanted to say on the matter. We wrote again, explaining that the escrow money would only sit in the account until the job was done. Krotenberg would either get the new driveway or the $2,500, not both. Krotenberg says she will be patient. And we’ll let you know what happens. Have you been Bamboozled? 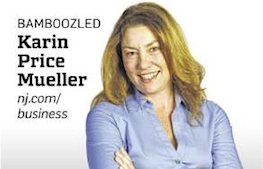 Reach Karin Price Mueller at Bamboozled@NJAdvanceMedia.com.